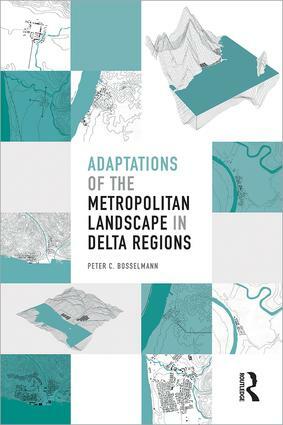 Adaptations of the Metropolitan Landscape in Delta Regionsis about environmental quality and the long term livability of urban areas. In decades to come, climate change will affect cities everywhere, but nowhere have the effects of climate change already been felt as strongly as in low-lying coastal cities, cities located in large river deltas and near tidal estuaries. This book reflects on the contribution that spatial planning and urban design can make to a complex discussion about how city form and landscapes will need to adapt within metropolitan areas. The book’s focus is on the urban form of three delta regions: the Pearl River Delta in Southern China; the Rhine, Maas, and Scheldt Delta in the Netherlands; and the San Francisco Bay Area in Northern California. The three regions differ greatly, but despite their different political systems, history, culture and locations in three different climate zones, all three regions will be forced to respond to similar issues that will trigger transformations and adaptations to their urban form. Richly illustrated in color with detailed diagrams, models, photographs and sketches, the book is written for students, scholars and practitioners of environmental planning, and designers who need to respond to the future form of cities in light of climate change. For the professions shaping the physical world of cities and regions, the challenge is not only one of designing physical geometries but of social consequences.